Several boatbuilders recently announced plans to increase staffing and production, as well as the clearing of inventory backlogs. KCS International Inc., the Oconto, Wis.-based parent company of Cruisers Yachts and Rampage Sport Fishing Yachts, is rehiring 100 employees to work on new orders for both brands, the company reported in mid-June. KCS began the year with 100 employees, and increased sales in domestic, Asian and Latin America markets have made it possible for former employees to return to work. "The growth we have already seen this year has us very optimistic," president Mark Pedersen says in a statement. "The months ahead are looking quite bright as we re-establish ourselves as one of the world&apos;s leading yacht manufacturers." Carver and Marquis Yachts are bringing back 250 employees, citing improved overseas sales, especially in the Pacific Rim and Eastern Europe. The former Genmar boat lines had been closed for about six months and were sold in a bankruptcy auction earlier this year. Carver and Marquis were bought by former Genmar founder Irwin Jacobs and partner John Paul DeJoria though their company J&D Acquisitions. Everglades Boats reported substantial reduction in inventory and an increase in market share. "Eighteen months ago, we had over 350 Everglades available for sale at the dealer level," president Steven Dougherty says in a statement. "Now we have sold 85 percent of that inventory [into the marketplace] and achieved all-time market share penetration." Encore Boat Builders, manufacturer of the Bentley Encore pontoon, reports it has increased production to keep up with growing demand. The Lexington, S.C.-based company is now producing 50 boats a week, up from 25, the company says. Tigé Boats captured 8.3 percent of the 2010 first-quarter U.S. retail sales of 20- to 24-foot ski boat market share, based on a recent report from Statistical Surveys, the company says. The specific number of units sold was not released. The report reflects new titled and/or registered ski boats that sold retail in the U.S. from January to March. An e-newsletter from Cabot Lyman, owner of Lyman-Morse Boatbuilding Co. in Thomaston, Maine, sought to set the record straight on the current state of his company. "We are still alive and well, and still building exceptional boats," Lyman says, before detailing various changes in personnel and management style in light of the current economic climate. The custom boatbuilder is "persevering" and remains "strong," Lyman says, despite the departure of company president JB Turner and two projects halted midstream. Despite a decline in manpower, the company maintains 100 employees on its books. MarineMax announced June 25 it secured a new $100 million financing facility with GE Capital, replacing its previous financing facility. The new facility provides for up to $100 million of floorplan financing, which can be increased to $150 million if approved by the lender. The facility has a three-year term, but includes two one-year options to renew, subject to lender approval. "We are pleased to replace our previous financing facility under favorable terms, which we believe will best serve our needs and will allow us to operate our business with more financial flexibility than before," says Michael McLamb, executive vice president, CFO and secretary of MarineMax, in a statement. 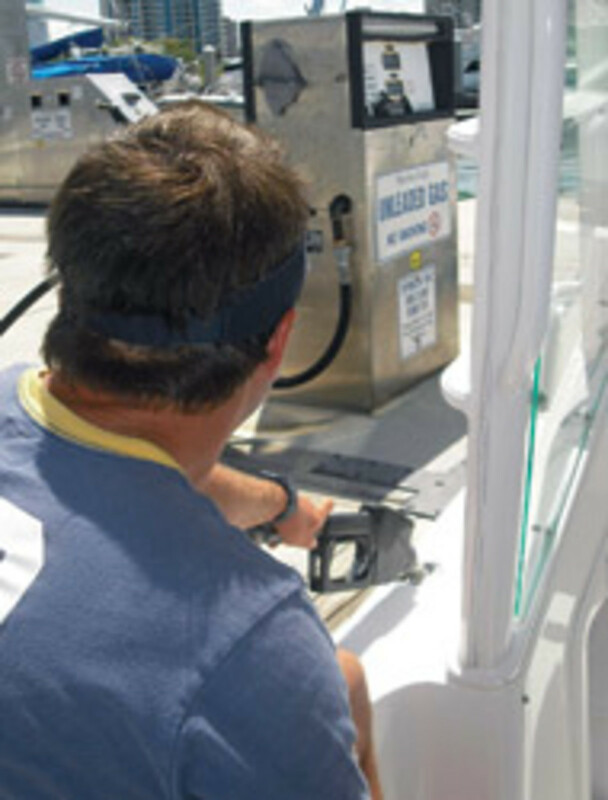 Leland, N.C.-based Southport Boats recently introduced its 2011 "Floor Plan Free Buying Program" designed to reduce field inventory and eliminate associated floorplan risk and expense to dealerships. The program does away with stocking requirements for dealerships and gives an incentive for a single demonstration model. The company&apos;s entire model line will be available for customers to sea-trial by visiting the North Carolina plant. "The flight of major floorplan lenders from the marine market has left hundreds of excellent dealerships with loyal customer bases, but without credit facilities for new product," says CEO Frank Longino. "This fact, combined with reduced market demand, makes the traditional field inventory business model obsolete and unsustainable." 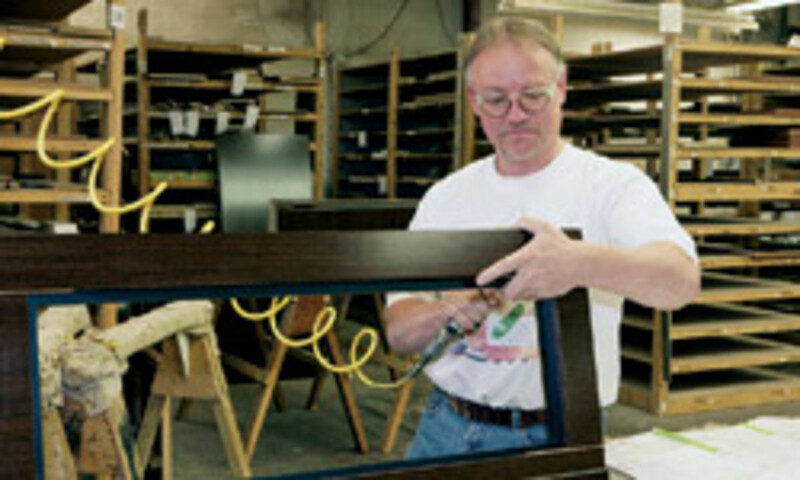 All of Southport&apos;s models are available at the factory and the company encourages dealers to send their customers with or without accompaniment. "We&apos;re only minutes from the Wilmington airport with good connections, so it&apos;s only a day trip," says Longino. In last two years, Southport has managed to reduce its field inventory by 87 percent, according to CEO Longino. Southport builds four models of sportfishing boats from 26 to 28 feet. The Environmental Protection Agency will delay until the fall a decision on whether more ethanol than the current 10 percent limit can be blended into gasoline, according to media reports. The EPA had been expected to render its decision in June. Growth Energy, an organization representing the nation&apos;s ethanol producers, has petitioned the EPA for a waiver to allow ethanol blends of up to 15 percent. An EPA statement, provided to Dow Jones Newswires, says more testing still needs to be conducted on cars to see how they run on a 15 percent ethanol blend. However, the EPA says preliminary results "look good," and Department of Agriculture officials called that good news for the ethanol industry. The federal government set a 10 percent limit on ethanol about three decades ago. Several cases involving legal action among various industry firms recently reached resolutions. The Minnesota Court of Appeals in mid-June ruled that plaintiffs in a class- action lawsuit against Lund Boat Co. were not damaged in any way by a change in vacation policy after Genmar sold the company to Brunswick in 2004. The suit was brought by 19 employees, representing more than 200 former and current workers, who claimed they were denied earned vacation time as policies were revised. Last year, a Seventh Judicial District Court judge ruled in favor of Brunswick Corp. and New York Mills, Minn.-based Lund Boats in the suit. Cook Composites and Polymers was again found not responsible for cracking of gelcoat on yachts built by Viking Yacht Co. and Post Marine Co. between 1997 and 2004. The opinion, issued July 1 by the U.S. Court of Appeals for the Third Circuit, affirms a jury verdict issued in July 2009 after a five-week trial in the U.S. District Court for the District of New Jersey. At trial last year, CCP presented evidence that the gelcoat in question met CCP&apos;s warranties, that Viking&apos;s and Post&apos;s experience was unique to them and not shared by any of CCP&apos;s other gelcoat customers, and offered expert testimony in support of CCP&apos;s product. Performance cordage manufacturer Samson Rope Technologies has settled a dispute involving the unauthorized use of its copyrighted material in Singapore, the company announced. "Samson ... keeps a vigilant watch over the worldwide market to ensure its intellectual property rights are not compromised," the company says in a statement. Those rights pertain not only to its products, but also to "collateral material, which includes catalogs, brochures, advertisements, white papers, technical bulletins, etc.," Samson says. Three industry figures were memorialized in June. A memorial service was held for flats boat pioneer Bob Hewes, who died June 27 in Miami at the age of 86, shortly before his 64th wedding anniversary with wife, Ida. Dave Benbow, chairman, president and owner of Minnesota-based aluminum boatbuilder Alumacraft, died June 10 after an illness. He was 69. The company, founded in 1946, will continue under the Benbow family, according to a statement from Alumacraft. Former executive director of US Sailing John Bledsoe Bonds died June 8 aboard his J/40, Alliance, in Newport R.I. He was 70 years old. According to an obituary by noted sailing author John Rousmaniere, Bonds was always infatuated with the sea and boating. Born in Arkansas, he became an officer in the Navy, retiring with the rank of captain in 1988. He was also appointed director of U.S. Navy Sailing in 1981 during his service time and was based in Annapolis, Md. He also helped develop the design, construction and rigging of Navy 44 sloops, and was instrumental in opening the Naval Academy&apos;s Safety-At-Sea seminars to the sailing public in 1984. After his retirement, he served as executive director of US Sailing from 1988 to 1994 and increased the organization&apos;s membership. He leaves behind his wife, Beth, who continues to live in their hometown of Mount Pleasant, S.C. 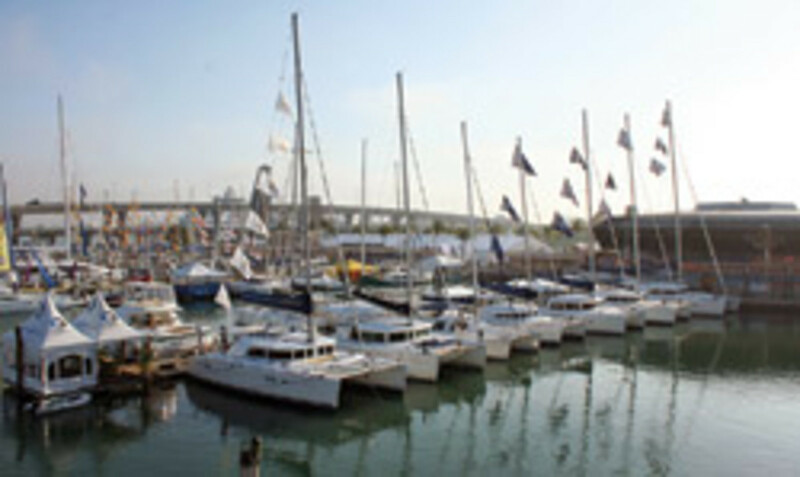 The move last year was deemed necessary by organizers in order for the show to stay viable in the future and was co-located with the in-water power portion of the Miami International Boat Show, according to Strictly Sail Miami show manager Kevin Murphy. "We went into this a year ago hoping that it would be a one-year stint," says Murphy. "But we did our due diligence and surveyed exhibitors and attendees about the preferred location and the preference was to have the all-sail environment in the old location." Murphy says that because of the optimism of the boat shows this year and dealers and boatbuilders starting to see more action in the market, this will be a better year to rebuild Strictly Sail Miami as a stand-alone show. My comments in the July story "Are bargain boats bottoming out?" unintentionally gave the impression that features and benefits make more of a difference to the customer than boat brand in the current market. It is very important to Galati Yacht Sales and our brand partners to understand that the comments on brand loyalty were made solely toward distressed inventory that remains available in our marketplace. Buyers seeking this distressed inventory appear to be more focused on price than quality. The "erosion of brand loyalty" referred to in the photo caption on Page 39 is inaccurate in regard to any of our brand partners. Galati is a premium-brand-focused company and has worked extremely hard the past 40 years to promote a high-value proposition by combining brand quality supported by our commitment to customer service. This vision has carried our company through the most difficult market in the history of the industry. Our sales team understands the value of selling premium brands and the benefits of selling quality supported by features and benefits to customers seeking a superior on-water experience. Our team has performed exceptionally in our market&apos;s recovery, and we appreciate their ability to transition from our premium brands to the distressed inventories we have successfully remarketed and supported for our lender partners. The Boston Whaler manufacturing headquarters reached two million hours without a lost time accident, the company reported in June. It took Boston Whaler employees almost three years of working safely to reach the two-million-hour mark, with the last lost-time recordable incident taking place in July 2007. The plant has reached one million hours without a lost-time incident twice before, but this is the first time in the 23-year history of the Edgewater, Fla.-based plant that Boston Whaler has achieved two million consecutive working hours without a lost-time incident. "... I sincerely thank and congratulate our employees for their diligence and hard work," says John Ward, president at Boston Whaler, in a statement. West Marine launched a marine conservation grants program and will donate $30,000 to local recreational fishing and conservation organizations. The grants will be awarded to groups that undertake conservation projects that are beneficial to recreational fishing and sustainable commercial fishing. The projects must also be focused on preserving natural resources. There will be five to 10 grants awarded in amounts ranging from $500 to $5,000. "We believe that all recreational fishing and marine conservation groups should work together to improve marine habitats and support healthy fish stocks," says Randy Repass, chairman of the board and founder of West Marine.